This content is provided by Rosemarijn Labeur. Rosemarijn has extensive experience in the field of Dutch financial regulatory law, with particular emphasis on the regulation of investment funds (AIFMD, UCITS) and investment services such as investment advice (MiFID II). Rosemarijn is a committed lawyer with a pragmatic approach. She works along with clients in a structured way to smoothly guide them through the complicated web of Dutch regulatory law and the critical attitude of the Netherlands Authority for the Financial Markets (AFM). She works with clients on a variety of matters, such as license applications and advices on specific topics. 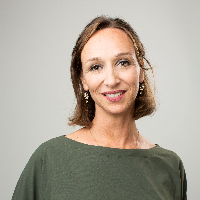 Rosemarijn is one of the teachers of the Grotius specialisation course ‘Securities Law’. She is part of the editorial office of a Dutch professional journal on financial regulatory law (Tijdschrift voor Financieel Recht), in which journal she also frequently publishes on several topics. Rosemarijn is also a fellow of the Institute for Financial Law of the University of Nijmegen. Rosemarijn regularly lectures on regulatory topics, such as the AIFMD. She is a lawyer since 2005 and is heading the Investment Management Team of Finnius since mid-2015 . The client base of this team has been expanded rapidly since that moment.